When you are looking for a veterinary care clinic you should be able to count on superior care and excellent service. At Red Barn Veterinary Hospital located here in Dahlonega, GA we have assembled an expert team of veterinary professionals to bring you the best possible healthcare for your pet. We have a state of the art facility which is clean, comfortable and efficient. Call 706-864-0054 to schedule an appointment and we will schedule a time that is convenient for you. Once a year you should take your pet in for a check-up. This will include a full physical exam, vaccines heartworm testing and intestinal parasite screening. We also offer full blood work in-house as well as comprehensive out-house panels sent to IDEXX Laboratories. 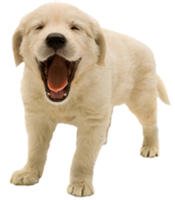 We guarantee your pet will be in the best of hands and their care taken to the highest level. Bring in any medical history you have of your pet when you come to our vet hospital. It's best to keep a journal of your pet's health throughout his or her life, including behavioral shifts, weight changes and diet changes. If you notice anything out of your pet's ordinary share it with our team. If not, let us know everything that you think will be important to your pet's health. Our team of doctors and nurses will take it from there. We offer referral to specialists who has advanced technology in areas such as internal medicine or surgery whenever your pet requires.